We are writing with deepest regrets to announce the recent passing of Rick Peterson, co-owner and founder of Gem Chain Bar. In August of 2018, Rick took a leave of absence to begin his battle with cancer. Up until a few weeks ago, we thought this was a fight he would win. Rick passed away February 12th at home, surrounded by his family. 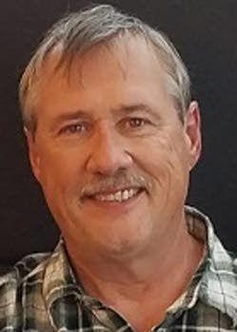 Memorial services will be held at 11 a.m. Saturday, March 2, 2019, at the Grangeville Christian Church. In lieu of flowers or donations to the family, we ask that you give a donation to an account that has been set up at Umpqua Bank. All donations will be split evenly between the American Brain Tumor Association and The Backcountry Sled Patriots. All of the staff at Gem Chain Bar are greatly saddened to be forced to continue on without Rick. He was an incredible man whose shoes are impossible to fill. We are so grateful to him for his vision, his preparations for the future. Because he cared enough to mentor us, we take some small comfort in being as ready as possible to step in to move the company forward this past August and now diligently into the future. 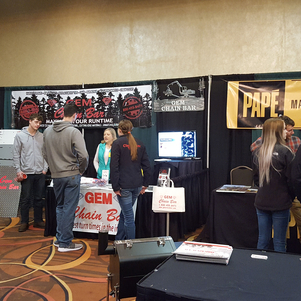 Rick was successfully focused on creating sustainable growth for Gem Chain Bar. The past 3 years he worked closely with our upper management team, preparing us to run the company as he eagerly looked towards easing into retirement. Without his amazing leadership, trust in his team and foresight we would not be where we are today. 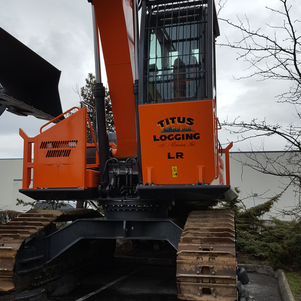 In the past two months we have added new machines, additional employees, and new measurement devices to increase capacity and ever increase quality. 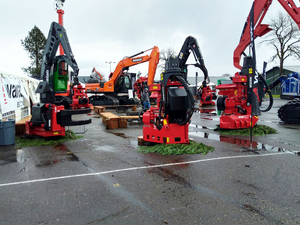 We will proudly carry forward his focus on blending technology, field testing and cutting-edge materials to create the best product possible at a reasonable price. This has been a very difficult time for all of us, but to honor his memory and his plans for the future, we will continue to push forward with business as usual. 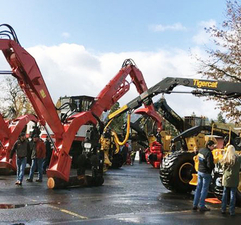 Kim Peterson will continue as the company Owner, as she and Rick owned and operated the business together. Wade Peterson, Rick and Kim's youngest son, will continue on as our Head of Engineering. Matt White, who has been running the shop for the company since 2008, will continue as our Production Manager. Melisa Kaschmitter has been with the business since 2016 and will continue as company's Operations Manager. 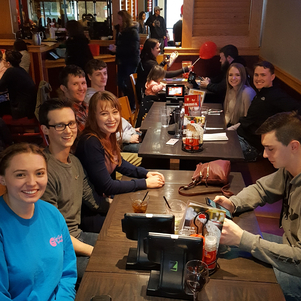 As a team, with all the memories and knowledge of what Rick would do, we will continue working together to ensure all of our customer's needs are met and expectations are exceeded. 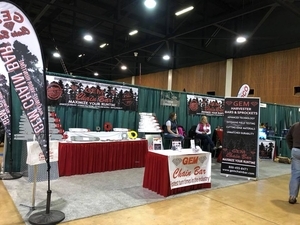 If you have any questions or concerns, during this time of mourning, please contact Melisa Kaschmitter at (208) 983-0203 or melisa@gemchainbar.com. 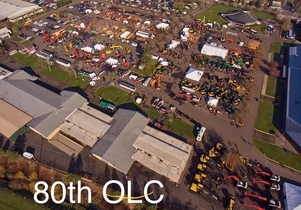 Please join us for the 81st Annual "Logging, Construction, Trucking and Heavy Equipment Expo" Thursday, February 21st to Saturday, February 23rd, 2019 at at the Lane County Convention Center and Fairgrounds in Eugene, Oregon USA. 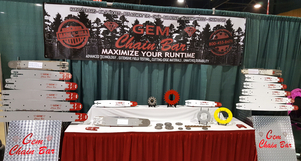 Gem Chain Bar will be in Booths 300-302, stop by and say hello! 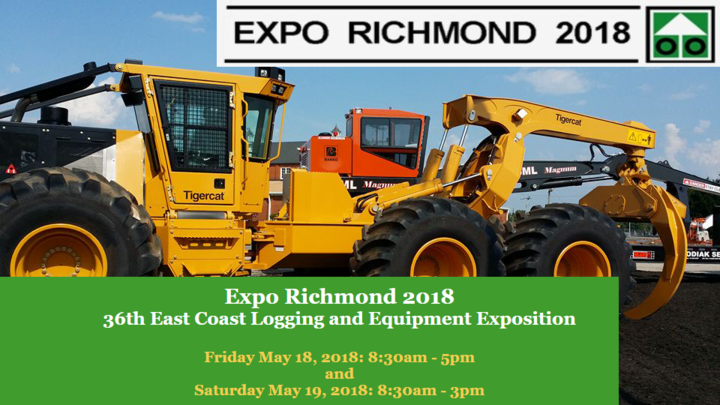 Please joining us for the 36th East Coast Logging and Equipment Exposition at the Richmond Raceway Complex (RRC) at 600 E. Laburnum Avenue, Richmond, VA. 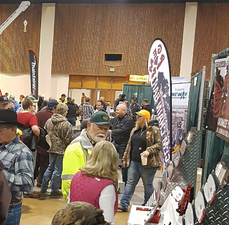 The show starts this Friday May 18, 2018: 8:30am - 5pm and continues through Saturday May 19, 2018: 8:30am - 3pm. 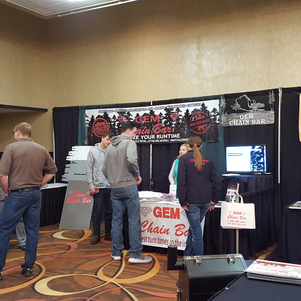 Shout out to everyone who came to see us at the 80th Annual Intermountain Logging Conference in Spokane, WA. 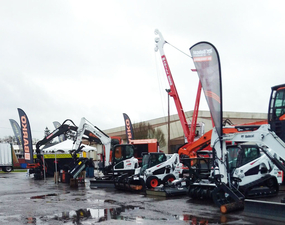 We always enjoy meeting with customers in our own backyard. 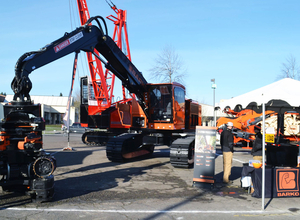 This year we took some of our shop and office crew up to the ILC to see first hand the machines and equipment we make our products for. 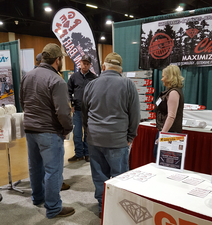 It was great to see some of our customers there. 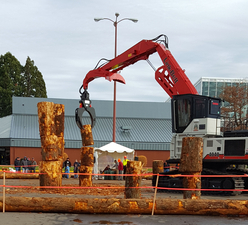 Pineda Brothers Logging and Titus Logging both had very nice machines at this year's event. 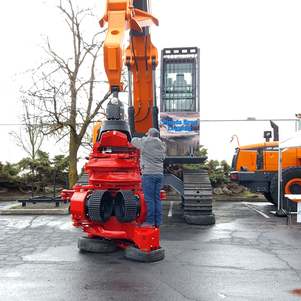 Thank you for sharing your equipment and time! Neither rain, nor sleet, nor hail, nor snow can stop the HAAS delivery truck! The Mail Man's Creed seemed very fitting for our HAAS delivery in December of 2017. Earlier this week the truck visited GEM and unloaded a lot of "Holiday Cheer."